Week 2 of the Film Asset project and we have finally settled on our film scene after doing some more research, we stuck with the tent scene from 'The Royal Tenenbaums' for it's vivid colours and interesting details. After a second seminar with the lecturers our group has realized that for this particular scene that we will have to concentrate on the fabric materials of the actual tent as well as making sure there are enough details on the objects as the scene is more zoomed in. A block mesh based from the shot image we had of the scene. 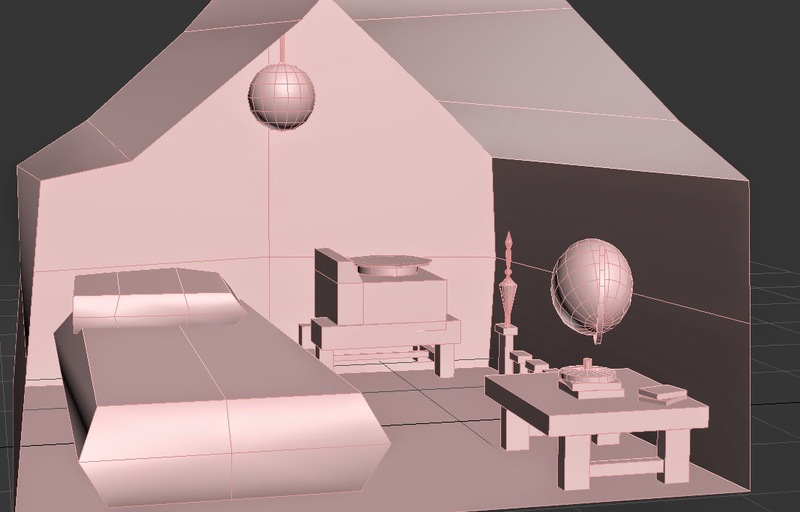 A tool called 'perspective match' was used to to match the grid plane to the viewport image in 3ds max. We created a simple blockmesh of the scene in 3ds max then used this as a guide to create our individual assets which we split up between us. 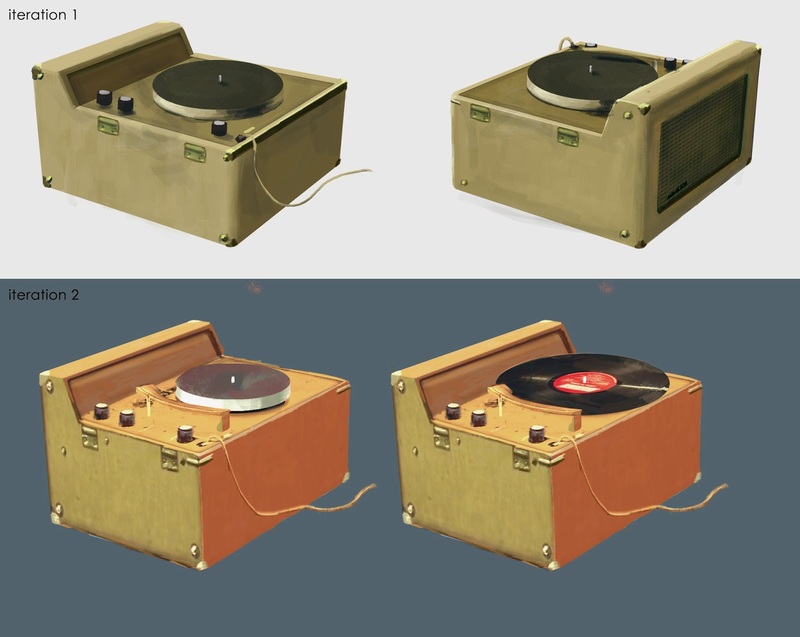 I had the record player, the table and the bed so I created some concepts that reconstructed the details lost partially in the scene and used these during the modelling stage along with really handy reference I found of similar looking record players. Record player concept - Two iterations of the same concept as the first one did not reflect the record player correctly so I redone it. The second one fixed the proportions and added some details back in. Jolyon Webb did a talk last week on iteration which highlighted a key skill we need to improve upon as game artists, the need to iterate is very useful in creating a stronger image and is something that I'm now trying to implement more into my workflow. He showed us examples of the original Alien concepts and how different it looked from the final iconic version we saw in the films, it's amazing how much change an idea needs to go through before it can be really successful and it just makes the redo process a lot more rewarding in the end. Next, as a result of the film room project I have been encouraged to try a lot of films. The Royal Tenenbaums was the first Wes Anderson film I've watched and I thought it was great, it has started a chain of Wes Anderson films though as I am set to watch Moonrise Kingdom next which I'm looking forward to. 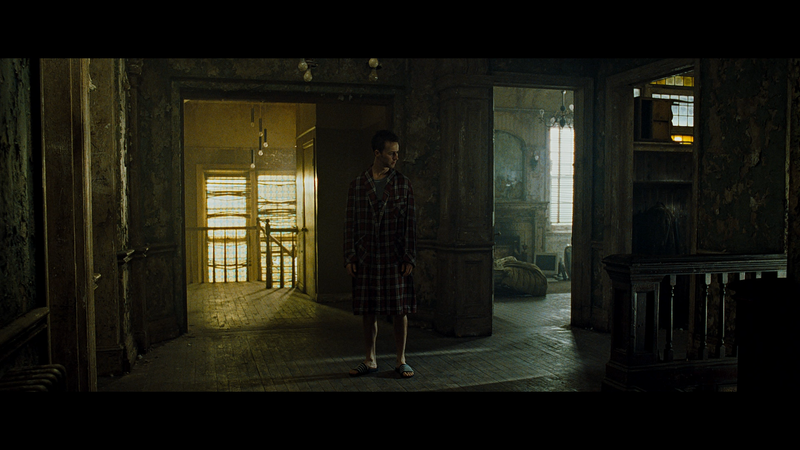 Anyways, I'll see you next time with more updates on the film room project.